Today is the last day on which comiXology.com is offering Chadhiyana #1 for free (use the promo code chadpod at checkout: comixology.com/Chadhiyana-1/digital-comic/239164). It’s also the official release date for Chadhiyana #2, even though comiXology listed the comic a full week early as part of the promotion. Both issues have been getting some good reviews, so if you haven’t given my medieval Indian fantasy series a try yet, now is your (last) chance to try issue 1 for free. 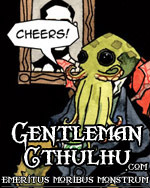 You can find Chadhiyana #2 at comixology.com/Chadhiyana-2/digital-comic/286191. 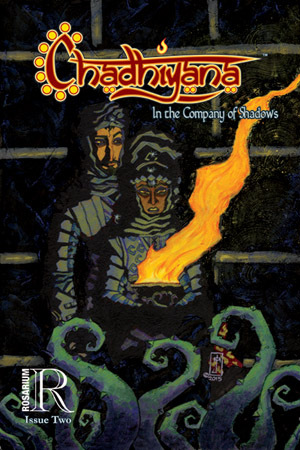 Though, if you’re not a member of comiXology, or you prefer to read your comics on the Kindle, Amazon is listing Chadhiyana #2 on their website as of today (amazon.com/Chadhiyana-Company-Shadows-JM-DeSantis-ebook/dp/B0165WNBM0/); issue 1 has already been made available. It’s really been an exciting week, as there’s been something of an unofficial on-line release event happening for issue #2 (you can read more about that in my previous blog post), and still there’s more to come! For myself, I’m hoping this all means that Chadhiyana is finally starting to get some notice and attention. After all, I’ve been working hard on this series for a number of years now, and I’m only just getting started. I’d love for people to enjoy reading it as much as I am enjoying creating it. That said, despite all the elation, I’m probably going to be taking next week off from blogging. My birthday is on Monday, and though I may get up in the morning and write first thing, as I always do, I’m not so sure I’ll want to write a blog piece for the following day–unless, of course, the upcoming interview I did with Sequential Tart is published that week. Plus there’s still some work to finish on issue #3 before I submit it to my publisher (Rosarium Publishing). So please excuse the (potential) week of silence. It doesn’t mean anything is wrong; I just want to enjoy my birthday–especially considering how great everything has been! Still, with Chadhiyana #2 released and Chadhiyana #1 being offered for free (again, that offer ends tomorrow!) there should be plenty to tide you over until my next blog piece. Happy Chadhiyana #2 release day! And Happy Birthday to me (in a week)!